Outsource Data Processing specializes in compiling mailing list, address cleaning and verification of all complexities from variety of sources ideal for electronic consumer and business lists. 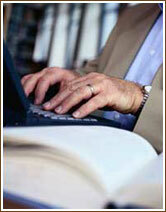 We also undertake jobs requiring updating or validating an existing database. ODP can process the information and setup your mailing list data to meet your exact field requirements. Splitting or combining fields such as the Contact Name or the City / State / Zip. De-dupe and re-sort the file to save postage and waste of mailing pieces. Convert to and from combined fields (City, State ZIP - Last Name, First Middle etc.) into separate database columns. Removal of unwanted characters, punctuation marks etc. Standardization of addresses as required by Postal Deptt.